How can I find a Chiropractor in York ? You will find an experienced Chiropractor in York at the Simply Chiropractic. Why would I need chiropractic care when I’m not in pain? Pain is often the last symptom to surface when you have spinal health problems just as it is with dental decay. Chiropractors are trained to detect early signs of spinal dysfunction and decay, long before any symptoms occur. Alteration in posture, imbalance in muscle loading and joint fixation are things that chiropractors can detect before they cause pain. That’s why you need chiropractic care even when you’re not in pain. See our Contact Us page to arrange an appointment. We can help detect areas of your spine that are out of alignment. Then we can correct these ‘problem’ areas before they lead to greater dysfunction. Chiropractors don’t treat any specific disease or condition. We focus on locating and identifying areas of spinal dysfunction causing nerve interference ( which causes the pain) and correcting the source of your problem, rather than just eliminating your symptoms. As a result chiropractic helps the body heal itself from a wide range of conditions. That’s why you can enjoy long-term relief from sciatica, neck pain, back pain, arthritis headaches and much more! It’s easy to trace some spinal problems to an event, such as a fall or car accident. Sciatica can be the result of a pinched nerve in the lower back or is some cases the result of cumulative damage to a disc. Years of bad posture, poor muscle tone, excess weight or countless other causes are implicated in the onset of sciatica…thats why it comes on slowly! Then, something simple like bending over to tie your shoes can trigger an episode. Can Anything Else Cause Sciatica? Spinal degeneration (arthritis or spondylosis) can be another culprit so your spine health is essential. Instead of disc thinning that puts pressure on the sciatic nerve roots, arthritic bone spurs can intrude into the space normally reserved for the nerve. However posture from prolonged and poor sitting positions is the frequent culprit when trauma isn’t involved. Actually chiropractic doesn’t cure anything! Only your body can do that. The chiropractic approach to sciatica (and other health problems) is to help restore the way your spine works, reducing nerve irritation and revitalizing your own healing ability. Most patients are delighted with the results they get after a week or two of care. Naturally, this varies from patient to patient. Visits generally become less frequent as your spine stabilises. However there are some patients that discover that years of neglect have produced spinal instabilities that never fully heal. These patients elect to continue with periodic chiropractic checkups. It’s up to you to choose the level of care you need. After the brief thrust, many patients report a sense of well-being or a feeling of calmness. Others feel improved mobility. 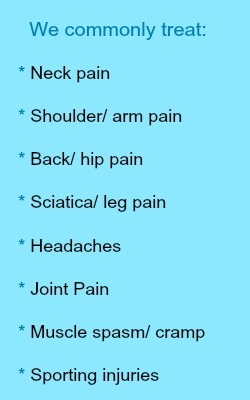 Inflammation or muscle spasms may delay these positive effects. Chiropractic doctors excel at making adjustments comfortable and effective utilising a number of techniques that produce the best outcomes for individual patients. Yes. A New Zealand government study (conducted over 2 years) concluded that chiropractic adjustments are ‘remarkably safe’. Taking an over-the-counter pain relief is about 100 times more risky. No. Only the spinal joints that are ‘locked up’ receive adjustments. This allows weakened muscles and ligaments to return to stabilize and heal, your spine health is a top priority at Simply Chiropractic. Lubricating fluids separate the bones of each spinal joint. Some adjusting methods can produce a sound when the gas and fluids in the joint shift. It’s like opening a soda can or removing a suction cup. The sound is interesting, but isn’t a guide to the quality or value of the adjustment. No. Some patients can make their joints ‘pop’ but that’s not an adjustment! An adjustment or manipulation has the intention of returning the vertebra to a normal functioning position. Even your chiropractic doctor must consult a colleague to benefit from chiropractic care. Some patients experience almost instant relief. Others discover that the healing process can take months, sometimes years. Every patient recovers at their own pace. Factors which can affect the healing process include your age, your overall health condition, muscle tone, diet and even your attitude. It depends upon your complaint and how long it may take to correlate your examination findings. This is a clinical decision and varies from patient to patient. No. Chiropractic doctors don’t dispense drugs. Because we rely on natural methods, ask for directions on how to use ice to control any painful symptoms. Ice, when properly applied, can have an analgesic effect without the side effects associated with pain medications. Can You Stop The Pain In My Wrist? If your wrist pain comes from carpal tunnel syndrome (CTS) it is usually due to compression of the median nerve as it passes through the band of ligaments in the wrist. 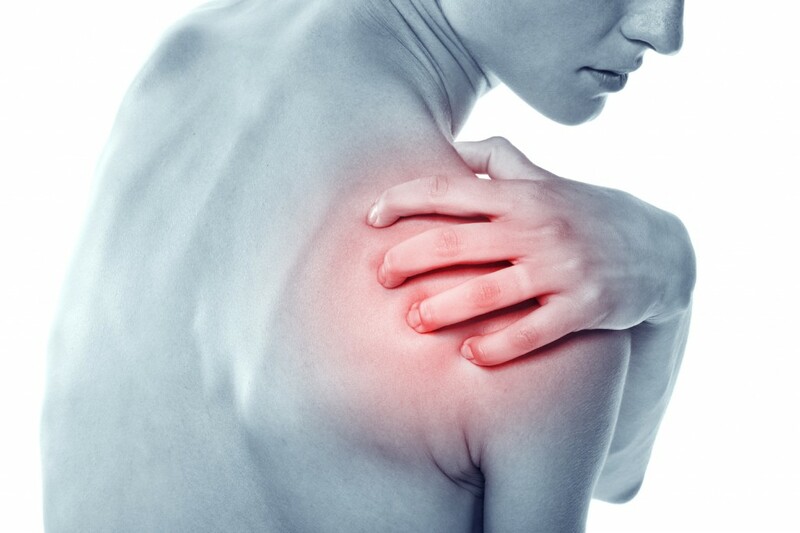 In many cases, the underlying cause is a misalignment of one or more joints of the neck, shoulder, elbow or wrist. Identifying the involved joint(s) and beginning a program of chiropractic care can often help avoid surgery. Chiropractic works by restoring proper motion of spinal bones and reducing nerve irritation. Other joints of the body can lose their normal motion and position as well. When chiropractic techniques are applied, range of motion can be improved and painful inflammation reduced. Without drugs or surgery! Making Sure Every Joint of Your Body Is Moving Right! Tennis elbow isn’t just an affliction of tennis players! Chiropractic care can often help. Many foot problems respond to a program of chiropractic care. Sometimes custom orthotics are used to strengthen supportive structures of the foot.